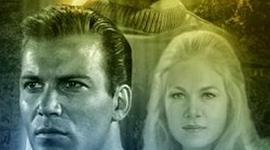 Fans of classic “Trek” original fiction will have at least four chances to revisit the original Enterprise next year. 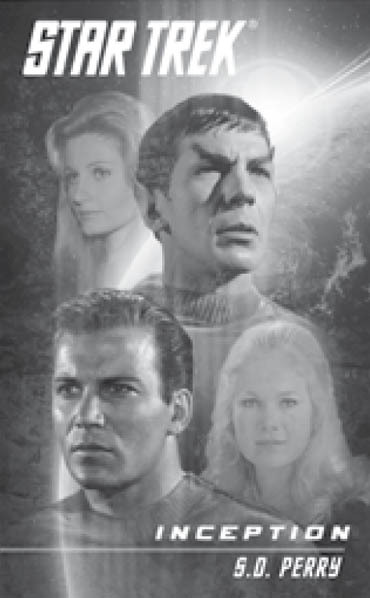 Pocket Books has released some preliminary information on four of its “Star Trek” novels for 2010. 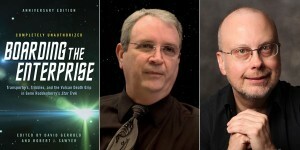 They bring back popular “Trek” writers Margaret Wander Boanano and David Stern and look to delve into some of the unanswered questions from before and during the original five year mission. Below are details, gleaned from a Pocket Books catalog by web-site TrekWeb. We’ve included one cover but if you want to see more, check out the original article at TrekWeb. Lieutenant Saavik-the compelling female Starfleet officer who is half-Vulcan, half-Romulan-struggles to discover where her loyalties lie. Blending the best of both the Star Trek television show and the movie, the story of a younger less experienced Kirk and Spock-and the two great loves of their lives, Carol Marcus and Leila Kalomi. Lust. Gluttony. Greed. Sloth. Wrath. Envy. Pride. These are the seven deadly sins of humanity… but humans are not the only creatures in the universe to surrender to their baser instincts. In the world of Star Trek, entire civilizations are driven by avarice, or anger, or insatiable hunger, or one of the other fundamental urges that have come to define these fascinating species. Now, this edgy collection of original novellas explores these empires from the inside, delving into the qualities that shape their cultures and their worldviews, through characters as compelling as they are provocative. These surprising and engaging tales feature all of Star Trek’s most prominent adversaries, including the Borg (gluttony), the Klingons (wrath), the Romulans (pride), the Cardassians (envy), the Ferengi (greed), the Pakleds (sloth), and the Mirror Universe (lust), and their adventures on the dark side of the Star Trek universe. Starfleet does not negotiate. Spock thinks perhaps they no longer fear the consequences, and if so, they must discover what has changed the Orions’ instinctual nature.